The photograph shows Dr. R.G. 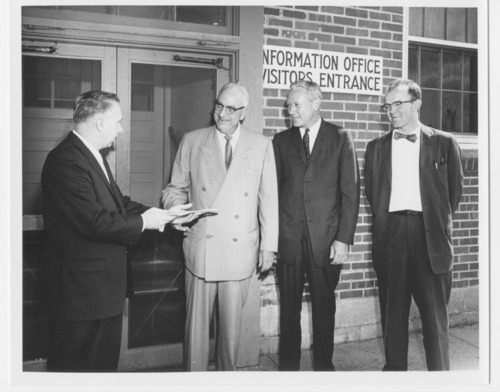 St. Pierre, the manager of the Topeka Veterans Administration Hospital; Dr. Karl Menninger; Dr. George Jackson and Dr. Clement Vickery, the Director of the Kansas Neurological Institute. The Kansas Neurological Institute is operated by the State of Kansas.